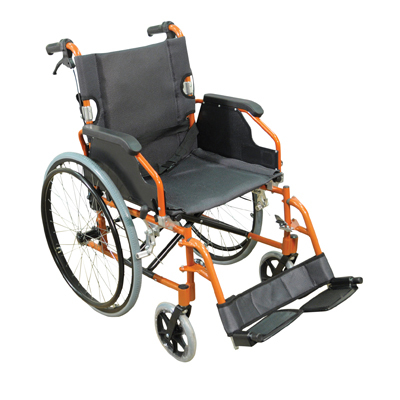 The Deluxe Attendant Steel Wheelchair from Aidapt is our latest design in compact, easy-to-use Wheelchairs. The frame is made from steel for strength and durability, with moving parts in high grade plastic for lightness. It comes with a host of features you would expect to find on a higher priced model including easy-clean padded upholstery, half folding backrest, flip back armrests, detachable leg rests, twin braking system and large, comfortable push handles. 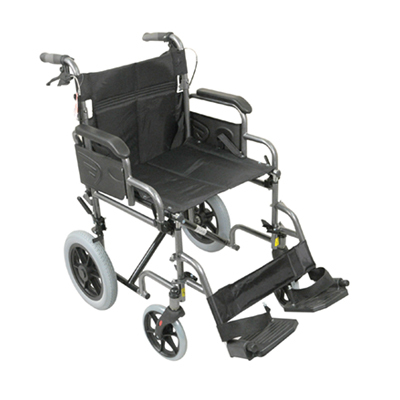 The Compact Transport Aluminium Wheelchair from Aidapt features an extremely compact and lightweight aluminium frame. 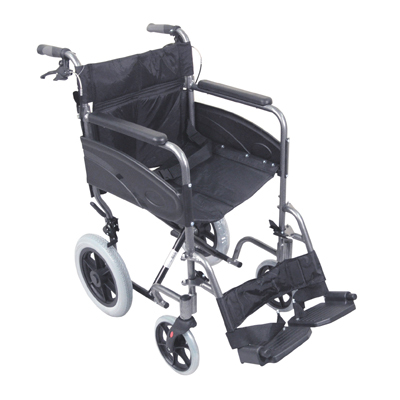 This wheelchair is ideal for the occasional or first time user who wants a strong, reliable and easy to use wheelchair that will go anywhere and fold in seconds to go in the boot of your car, coach or aeroplane, making it ideal for shopping, day trips or holidays.